For many years the Windsor Rotary club as organized the 9Health Fair. This has brought Windsor together to provide preventive health education and the most comprehensive screenings. We serve approx 800 Windsor community members at the annual fair held each April. Each year we send many students to a week long summer leadership camp at the YMCA in Estes Park. ​Rotary Youth Leadership Awards (RYLA) is an intensive leadership experience organized by Rotary clubs and districts where you develop your skills as a leader while having fun and making connections. 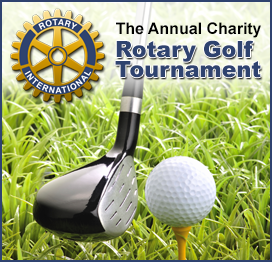 The 3rd Wednesday in June every year the Windsor Rotary Club hosts a fundraising golf tournament that supports scholarships to send middle school and high school students to leadership camp. The tournament is named in honor of former long-time Windsor Rotarian Ardin Wright. Every couple of years the Windsor Rotary Club enjoys a social/fundraiser event at Coors Field. Club members pass out promotional items to fans and then enjoy a baseball game. The Rockies Foundation then generously donates money to our Club.